Today I decided to go to the other side and get reader’s perspective on things we writers are curious about. And who else could be a better person to talk to than a professional writer who partly makes money by reading books, right? Well it happened so that I knew someone like that and I’m happy to share with you our talk. 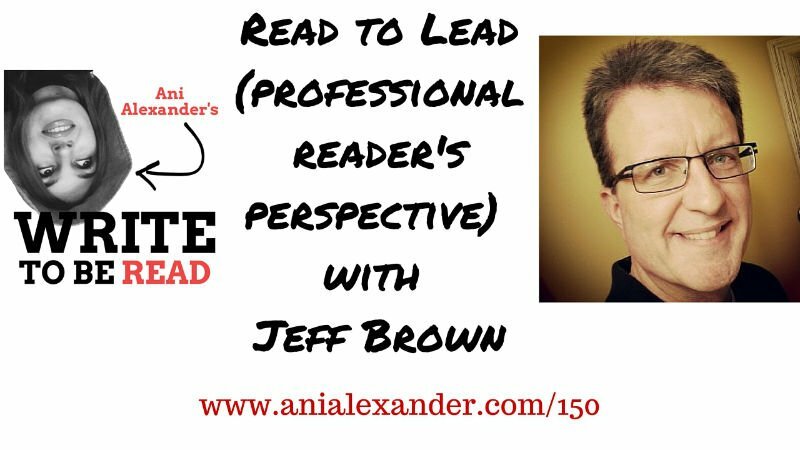 Jeff Brown is my guest today. He is a podcaster, mentor and speaker. His goal is to help people bridge the gap between intentionality and implementation. He does this by sharing my professional insights, and the insights of successful people all over the world, on leadership, personal development, productivity, entrepreneurship and more through my blog, my podcast, and through personal consulting and speaking. In this interview we talk about reading and writing and it seems that we have more laughs than usual. Do you wish you could just write books and avoid all the intimidating and frustrating details of book publishing? If yes then I’ve created the best solution for you! Simply go to Publish to be Read send over your draft manuscript and get your professionally published book in only 3 weeks!